Two Soldiers Home residents, Ms. Bradford and Mr. Coleman, continued their Jingo winning streak with the assistance of Friends volunteers Ada Loo and Eric Schaefer at this month’s get together. This is nothing new; Ms. Bradford and Mr. Coleman sat at the same table together and swept last month’s Jingo, too! 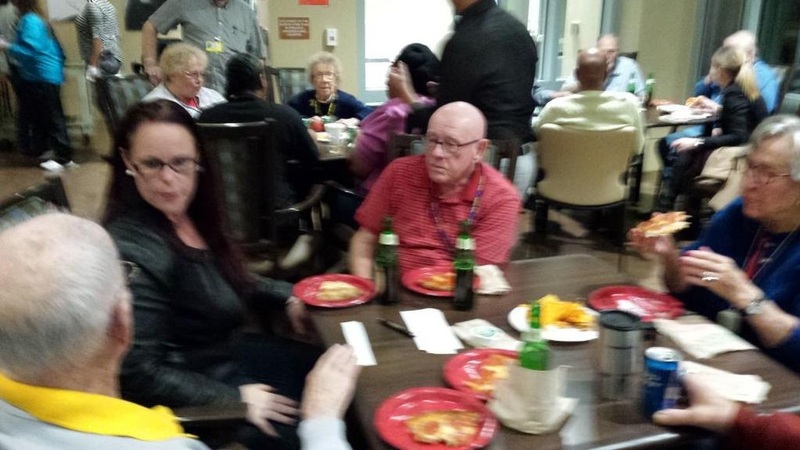 The Thanksgiving- and Christmas-themed Jingo games on Nov. 13 marked the last time Friends of the Soldiers Home and residents will get together for the activity until 2015. 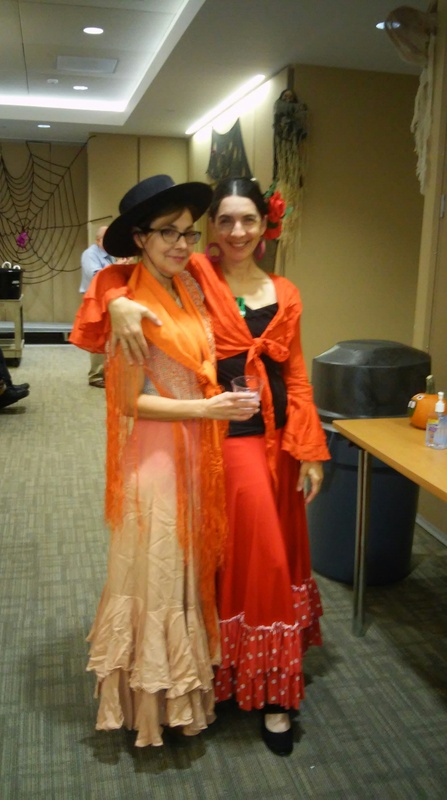 But the year was ended on the right note, with a dozen Friends partnering with residents for a great time! It was the 33rd time Friends and residents got together for Jingo games since Friends was founded in November 2011. Friends of the Soldiers Home partnered with Bloomberg to take 25 veterans to The 2014 National Veterans Day Concert Nov. 9 in Alexandria, Va. Soldiers Home residents particularly enjoyed Deana Martin, the daughter of Dean Martin, who ran through some of her father’s classics, such as “Everybody Loves Somebody Sometimes.” Spanish tenor Sergi Gimenez Carreras was also a hit with numbers such as “O Sole Mio (de Capua).” CNN’s Jake Tapper handled hosting duties at the event presented by the Medical Music Group Chorale and Symphony Orchestra. Bloomberg supplied transportation, helped with volunteers and treated all the veterans to lunch at TGI Fridays before the show. As we prepared to celebrate Veterans Day, Friends was grateful to have had an opportunity to show appreciation to the men and women who have served. We thank Bloomberg for making it possible. Lots of people had their eyes on election returns the evening of Nov. 4 but veterans and community volunteers were pondering difficult questions. “How many U.S. presidents have received the Medal of Honor?” “In what year were women first allowed to vote?” Political-military trivia dominated Saloon Night With Friends, as veterans and community members got together for their monthly celebration. (In the photos below you can get a rare glimpse at questions and answers prepared by our trivia master, the one and only Zach Hartman. How would you have done?) This was the 24th Saloon Night since the Friends and the Armed Forces Retirement Home-Washington jointly created this special activity two years ago. Friends of the Soldiers Home picked up the tab for pizza, drinks and snacks, thanks to support from the community. But it’s the friendship and fun that trumps all. On election night, the Friends were proud to give back to people whose military sacrifice helped make democracy possible. Check out Saloon Night, the first Tuesday of each month, by dropping a line to Lori Lincoln at volunteerfriendsofsoldiers(@)gmail.com.